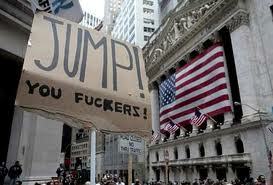 Extensive research in 2008 led many experts to predict record-high suicide rates shortly after Wall Street’s epic collapse. Obama’s ascension to the White House, along with his promise to clean up the U.S. financial sector, only reinforced those optimistic predictions. While many of the projected Wall Street suicides were actually projected to take place during President Bush’s last months in office, many political experts have pointed to the bank bailouts and continued lack of regulation that have marked Obama’s first term as key factors in helping those on Wall Street dismiss feelings of guilt. In response to these assertions, liberal media outlets have deflected blame away from Obama, instead turning the focus to the unwillingness of Republicans in Congress to support the president’s economic reforms. Mitt Romney, campaigning in Ohio, took little time to pounce on the president’s remarks, hoping to further strengthen a campaign that received a significant boost following Wednesday’s debate. Despite being shocked by the startlingly low suicide statistics, President Obama has also pledged to right the ship during his next term. In related news, JP Morgan Chase, Barclays and Citigroup have all announced multi-billion dollar investments in sleeping pill and razor blade manufacturers. The source of their funding is not yet known.